We all have a story, but much of the time we don’t know how to tell it or if it’s even worth sharing. For too long, fear of the unknown, rejection, embarrassment, and shame has prevented followers of Jesus from sharing what God has done in their lives. But the truth is, we all need to be ready to give a reason for the hope we have. It’s time to tell your story. During this series, as we prepare for Easter at ACC, we’ll take time to teach you how to know your story, share your story, and live your story. And together we’ll all discover that each story interacts and overlaps with God’s story, the greatest story ever told. 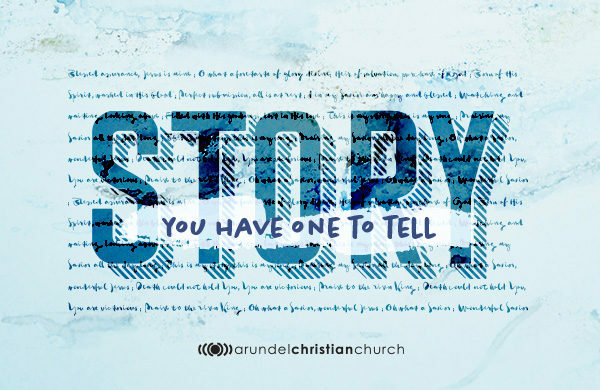 Today Pastor Matt continues the “Story” series by teaching us how to tell our story.